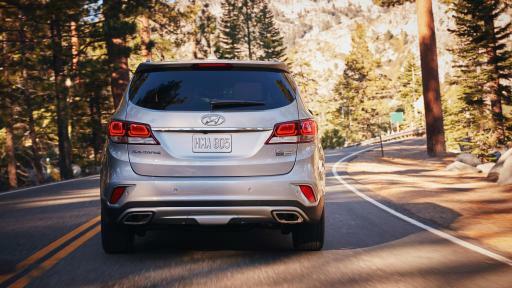 The award-winning Hyundai Santa Fe lineup continues to dramatically improve for the 2017 model year. The improvements span everything from fresh exterior design and LED lighting signatures to additional infotainment, convenience and safety technologies and new Drive Mode selection with Sport, Eco and Normal settings. 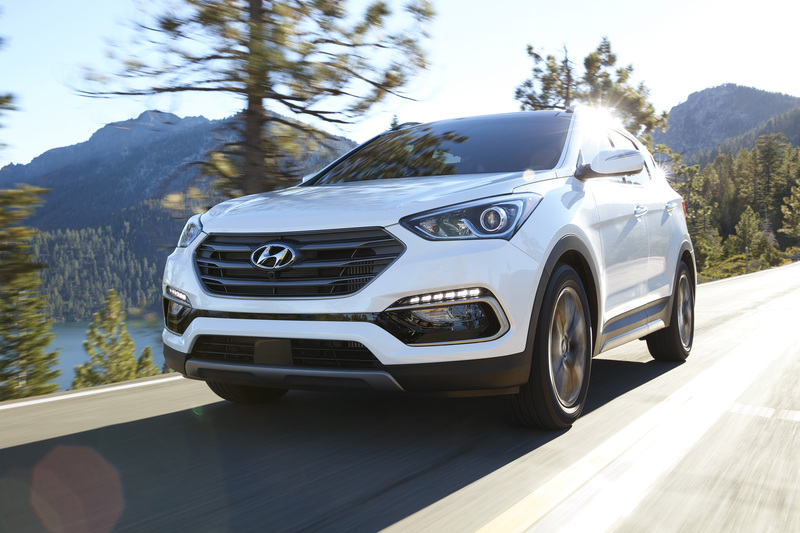 For 2017, in order to meet increased market demand, production of the two-row Santa Fe Sport model will be added to the Montgomery, Alabama manufacturing facility, alongside the Sonata and Elantra sedan models. 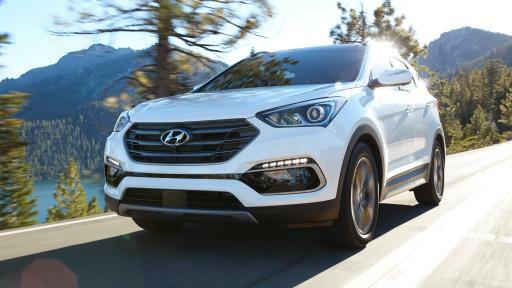 The 2017 Santa Fe is arriving at dealers now. All Santa Fe powertrains now offer new Drive Mode selection with Sport, Eco and Normal settings. 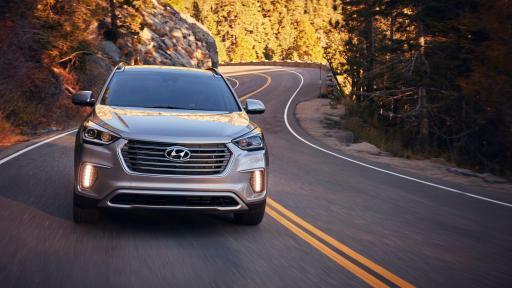 The 2017 Santa Fe line-up continues to offer front- or all-wheel drive and seating options for five, six or seven passengers. 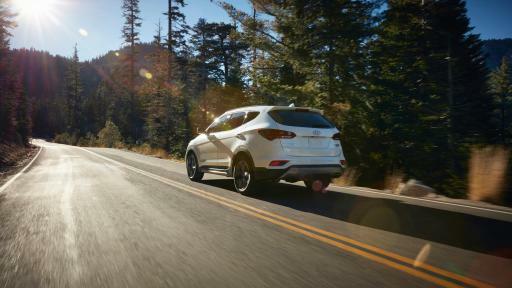 The 2017 Santa Fe Sport is powered by an efficient 2.4-liter four-cylinder direct-injected engine with 185 horsepower or the more powerful, turbocharged 2.0-liter four-cylinder engine with 240 horsepower. 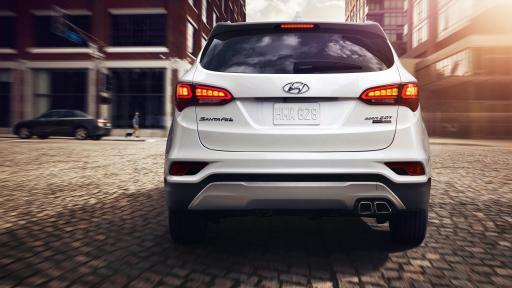 2017 Santa Fe (three-row) uses the acclaimed 3.3-liter Lambda II V6 engine, with 290 horsepower. 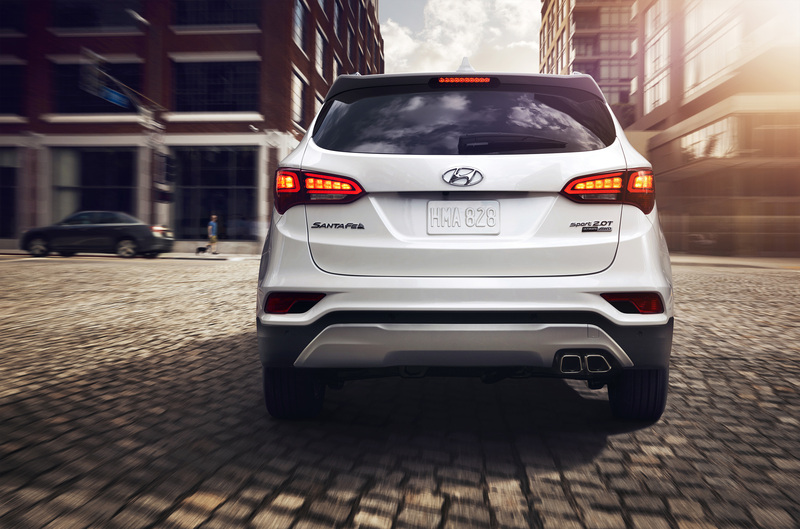 All Santa Fe engines utilize high-pressure direct injection and Dual Continuously Variable Valve Timing (D-CVVT). 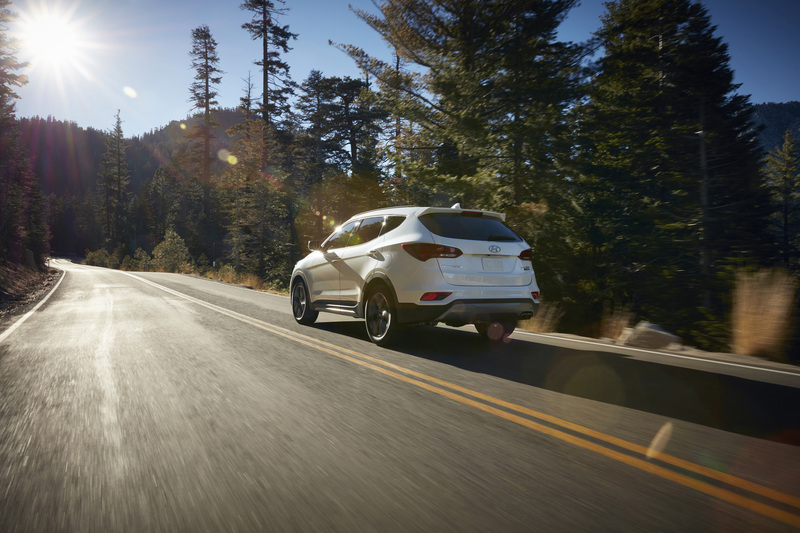 A six-speed automatic transmission is standard on all Santa Fe models. Active Cornering Control and a windshield wiper de-icer is also standard on AWD Santa Fe models. For the 2017 Santa Fe Sport model alone, nearly 350 individual parts have been updated, representing about 25 percent of total Santa Fe Sport parts content. Santa Fe Sport EPA-estimated fuel economy has also been significantly improved across its model and trim line-up, with most models increasing by a full mile per gallon compared with the 2016 model year. Standard Santa Fe features include a Rearview Camera, automatic on/off headlights, remote keyless entry with alarm, bodycolor heated exterior power mirrors with driver’s blind spot mirror, LED headlight accents, daytime running lights, steering-wheel-mounted audio and cruise control and Bluetooth hands-free smartphone system. Premium features such as HID Xenon headlights, panoramic sunroof, navigation and an updated 12-speaker Infinity Logic7® audio system which features QuantumLogic® Surround and Clari-Fi™ Music Restoration Technology are available. 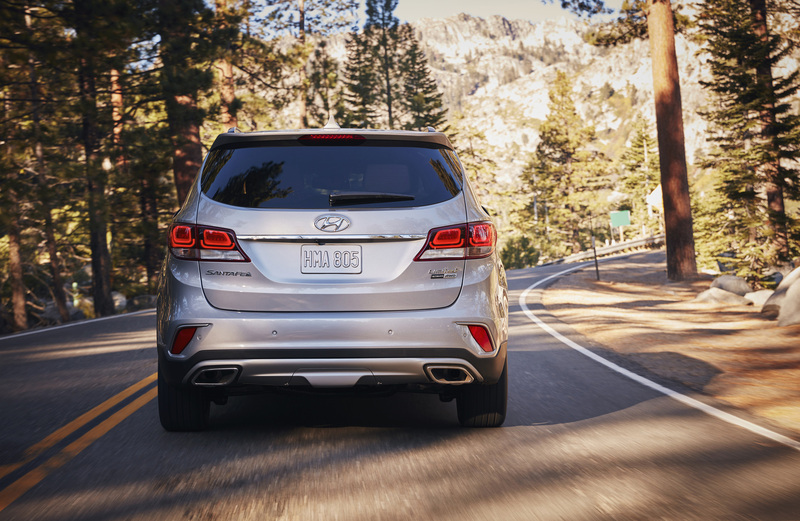 Also available is Hyundai’s innovative power Hands-Free Smart Liftgate with Auto Open, which makes it even easier for owners to gain access to the cargo area whenever their hands are full. This system makes it easy for the driver to keep both feet comfortably on the ground by simply standing within a few feet of the rear bumper with the key fob in a purse or pocket for a few seconds. Even more, next-generation Hyundai Blue Link® (standard on Santa Fe and optional on Santa Fe Sport) provides a full suite of connected safety and diagnostic features, as well as features that are only possible with an embedded connected car system, such as Remote Start with Climate Control, Stolen Vehicle Recovery and Remote Door Lock/Unlock. 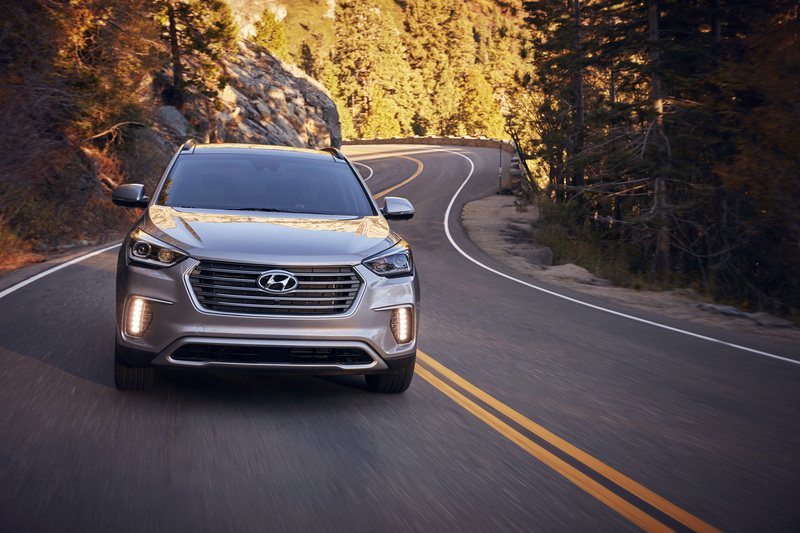 Navigation-equipped Santa Fe and Santa Fe Sport models also benefit from Blue Link Guidance, which provides Destination Search, powered by Google™, as well as POI Web Search and Download to help you get to your destinations via your connected car. Both Santa Fe and Santa Fe Sport are compatible with Android Auto for seamless and intuitive operation of the most commonly-used smartphone functions, including navigation with Google Maps™, streaming audio, voice-controlled search capabilities and more than 40 approved smartphone apps. Android Auto is compatible with Android phones running Android 5.0, Lollipop or higher. 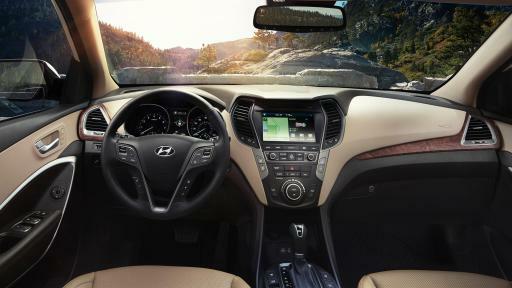 Santa Fe models utilize an electric power steering system with a 32-bit microprocessor that delivers a refined steering feel. The steering system also offers driver-selectable steering modes based on the Drive Mode selection of Sport, Eco and Normal settings. Standard safety equipment on the 2017 Santa Fe lineup includes Vehicle Stability Management (VSM) with Electronic Stability Control (ESC) and Traction Control System, seven airbags, including a driver’s knee airbag, four-wheel disc brakes and ABS with Electronic Brake-force Distribution (EBD) and Brake Assist, Hill-start Assist Control (HAC) with Downhill Brake Control (DBC) and a Tire Pressure Monitoring System (TPMS).